Jams, jellies, sauces and any other leftovers can go right back in the fridge with these simple canning jar lids! 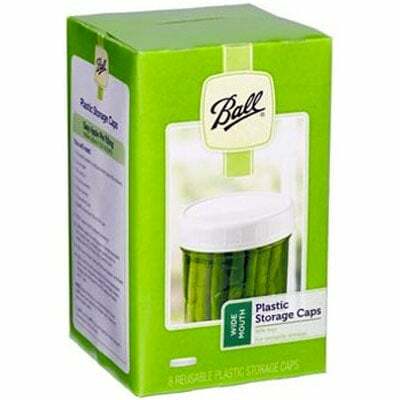 Ball Plastic Storage Caps are one-piece wonders, eliminating the clutter of rings and metal lids. 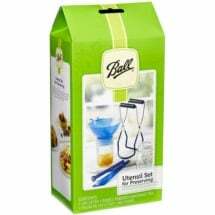 Suitable for freezer, refrigerator or shelf storage, but not home canning. In regular and wide mouth sizes; 8 per package. 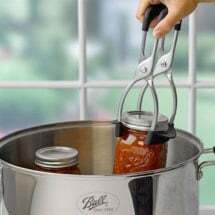 Available for wide mouth and regular canning jars of any capacity. 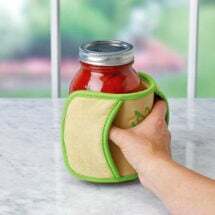 User’s Tip: Perfect for gifts in a jar or bringing leftovers to work for lunch! Non-slip treads help keep a solid grasp and protect hands from heat and spills. 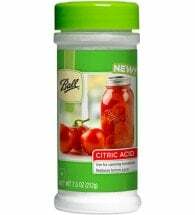 Helps maintain a proper pH so your produce stays safe for consumption.